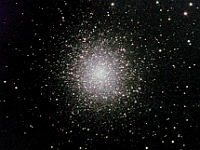 1 M13 The Great Globular Cluster in constellation Hercules. Taken at home on 13/19/05. Meade LX200 GPS 8" scope, DSI-C camera. 10 seconds/image, total time 57 minutes. 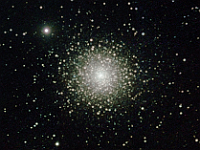 2 M15 Globular Cluster in Pegasus. Taken at home on 08/01/05. 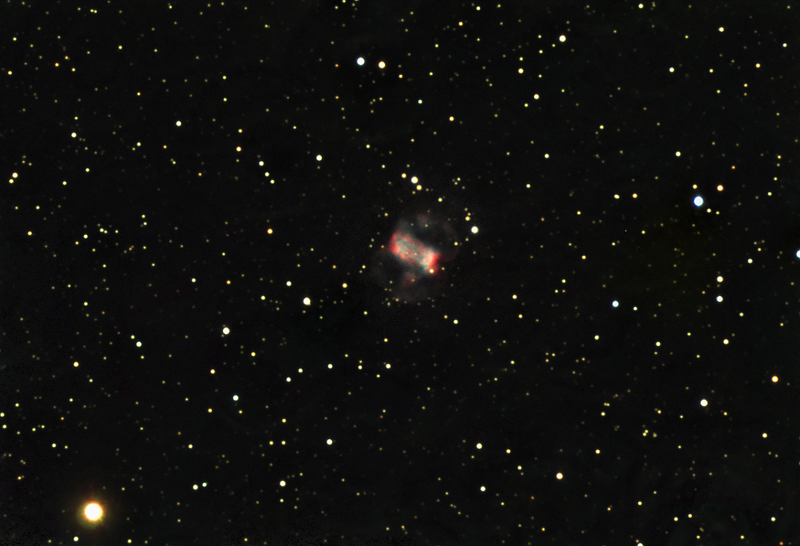 10 seconds/image, total time 60 minutes. Taken at the cabin on 09/13/05. 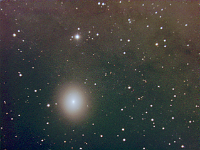 45 seconds/frame, 5 images. Polar mount, unguided. Picture was an experiment that happened to turn out well despite the short exposure time. 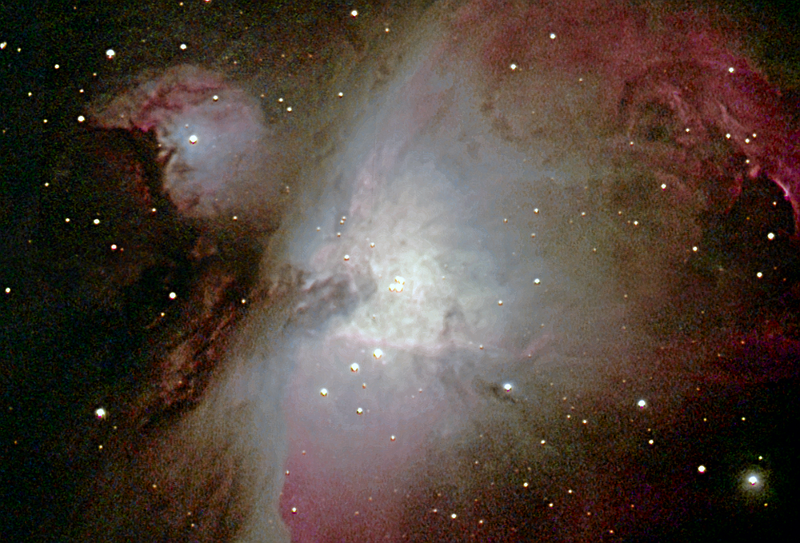 This was "first light" picture for the Orion ED80. Taken at home on 11/23/05. Nikon 135mm lens at f/16, DSI-C camera. 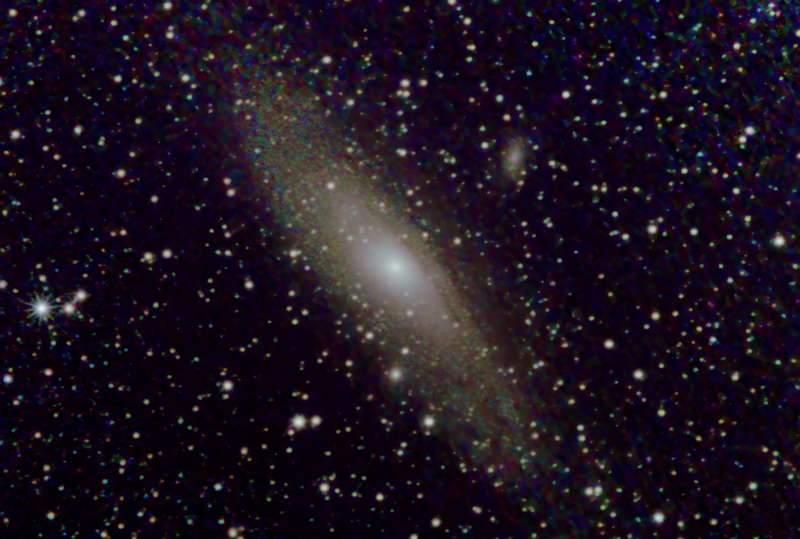 60 seconds/image, total time 180 minutes (in the central area). 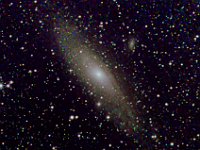 5 M32 Dwarf elliptical galaxy, a satellite of the Andromeda Galaxy (M31), which is responsible for the glow in upper part of the picture. Taken at home on 12/17/06. 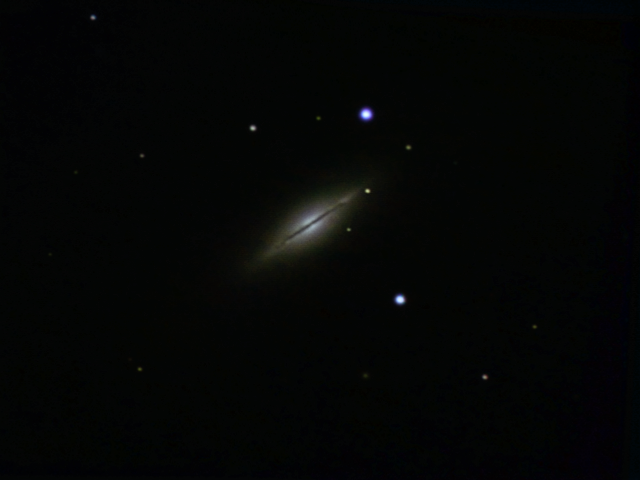 Meade RCX400 10" scope, DSI-Pro camera. Taken at home on 01/12/05. 2x2 mosaic, with 50 images for each of the four quadrants. 5 seconds/image, total time 16 minutes. 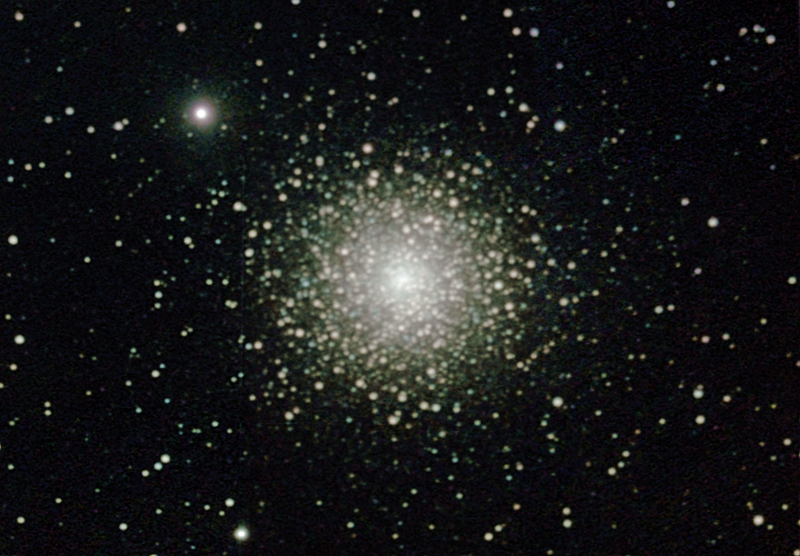 7 M53 Globular Cluster in Coma Berenices. Meade LX200 GPS 8" scope, DSI-C camera, alt/az mount, no IRB filter. 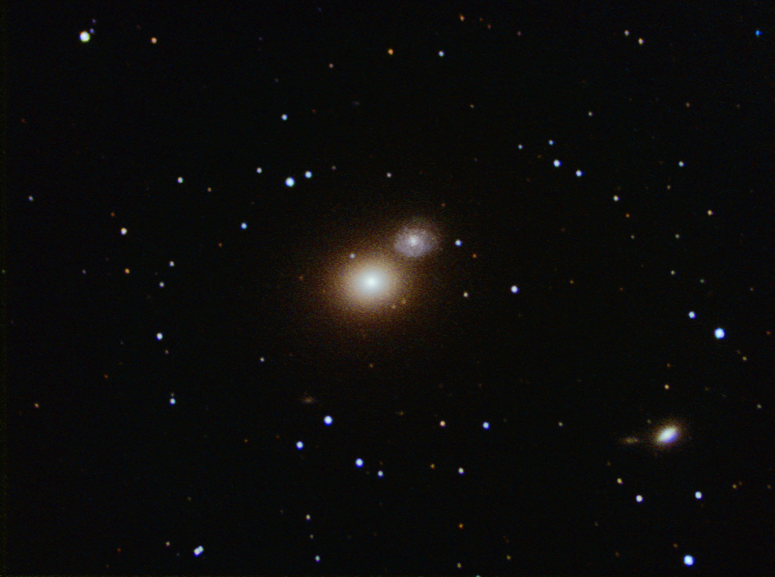 8 M60 Elliptical Galaxy in Virgo. Taken at home on 04/24/07 and 05/13/07. 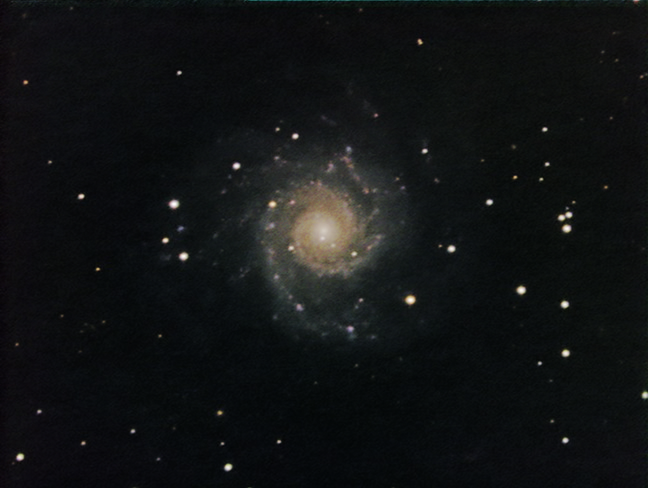 Meade RCX400 10" scope, DSI-Pro II camera, focal reducer. 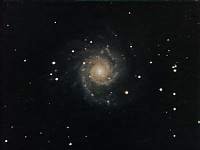 9 M63 Sunflower galaxy, in Canes Venatici. Taken at home on 05/13/07 and 05/16/07. 10" Meade RCX400 10" scope, DSI-Pro II camera, f/3.3 focal reducer. 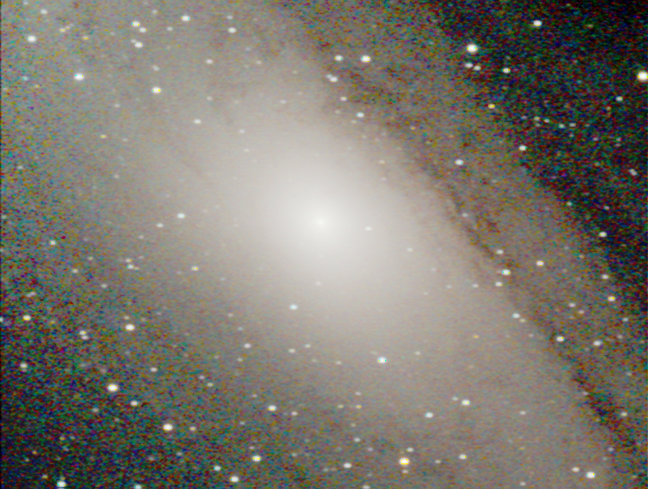 30 seconds/frame, total time 158 minutes (LRGB=120:90:42:65). 20 seconds/frame, total time 60 minutes. 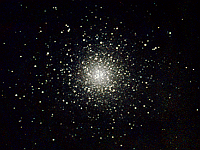 11 M71 Globular cluster in Sagitta. Taken at home on 08/23/07 and 08/27/07. 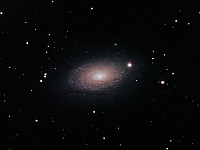 Meade RCX400 10" scope, DSI-Pro II camera. 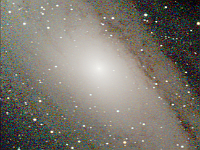 30 seconds/frame, total time 121 minutes (LRGB=60:15:16:30). 12 M74 Spiral Galaxy in Pisces. Taken at home on 10/27/06. Meade RCX400 10" scope, DSI-Pro camera, f/3.3 focal reducer. 15 seconds/image, total time 181 minutes (RGB=60:60:61). First light for my observatory. 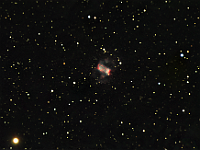 13 M76 Planetary nebula in Perseus. Taken at home on 12/13/07. 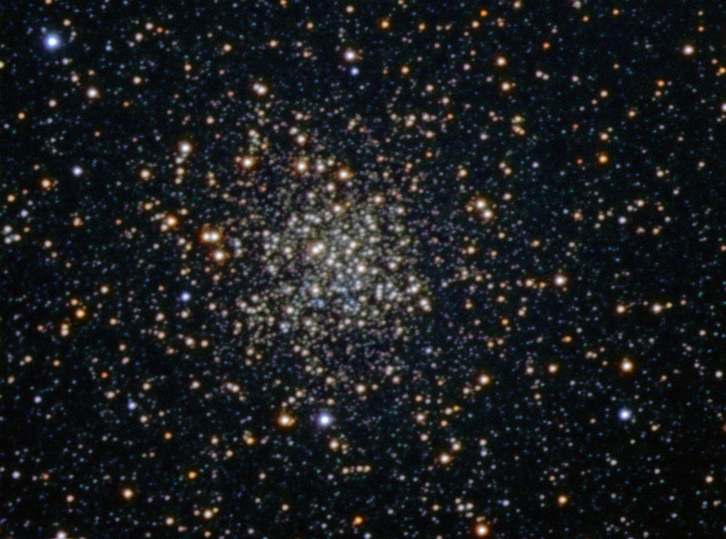 Meade RCX400 10" scope, ST-10 XME camera. 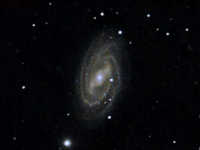 120 seconds/frame, total time 120 minutes (LRGB=60:20:20:20). 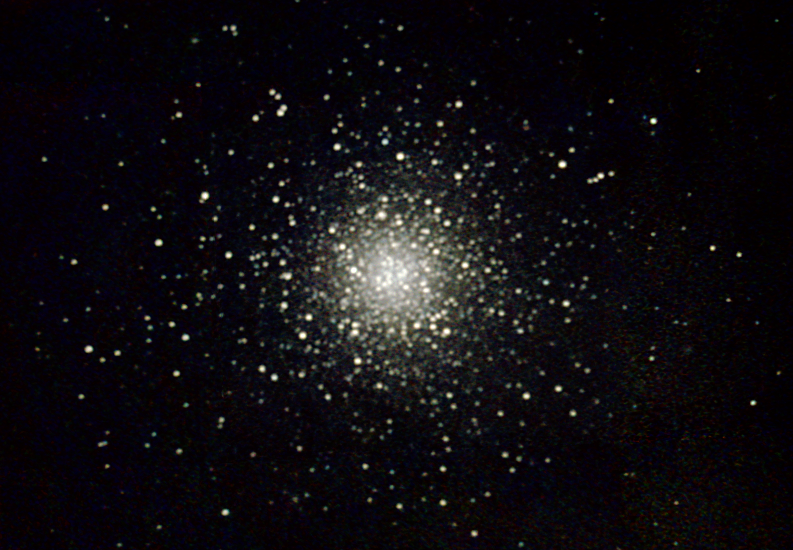 This was first light for the ST-10 XME camera. 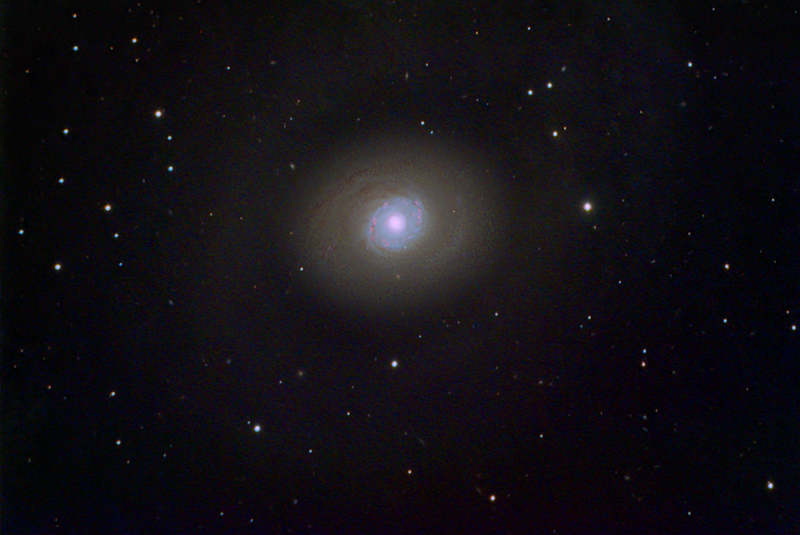 14 M94 Starburst galaxy in Canes Venatici. Taken at home on 04/25/08. 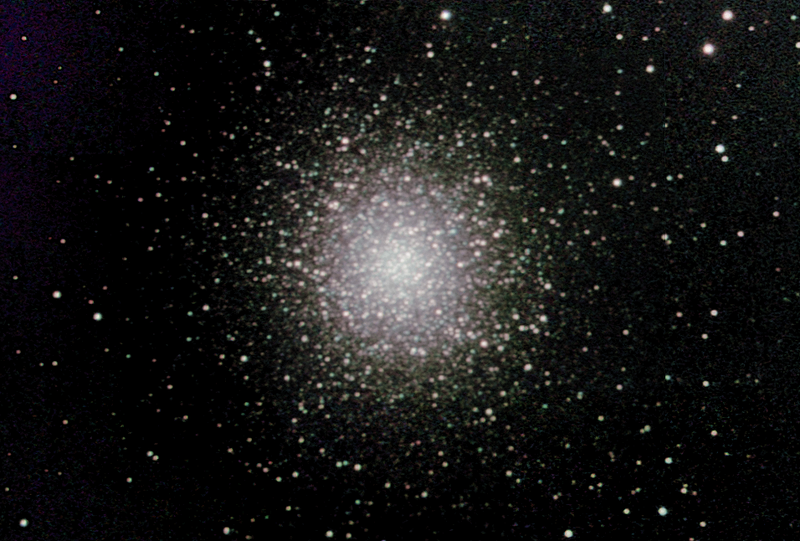 Meade RCX400 10" scope, ST-10XME camera. 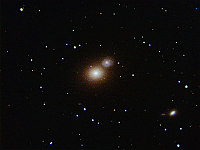 300 seconds/frame for L and Ha, 120 seconds/frame for RGB. Total time 205 minutes (LRGBHa = 120:20:20:20:25),. 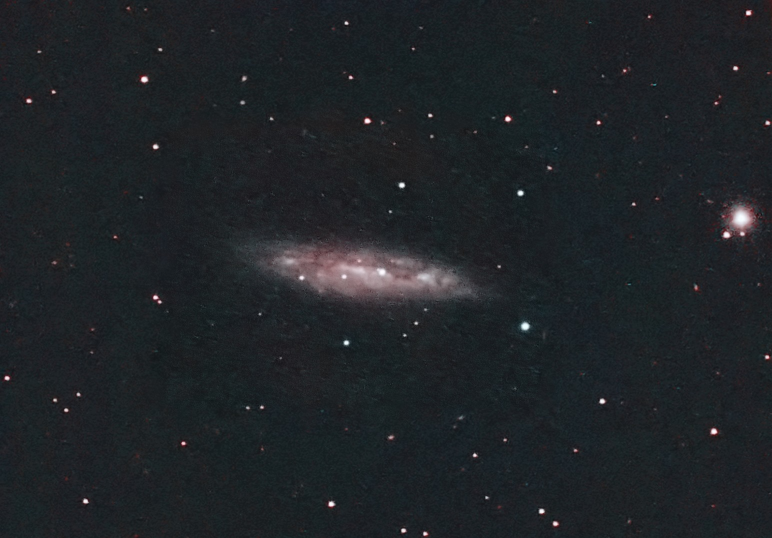 15 M95 Barred spiral galaxy in constellation Leo. Taken at home on 04/19/06. 60 seconds/image, total time 121 minutes (LRGB = 40:20:30:40). 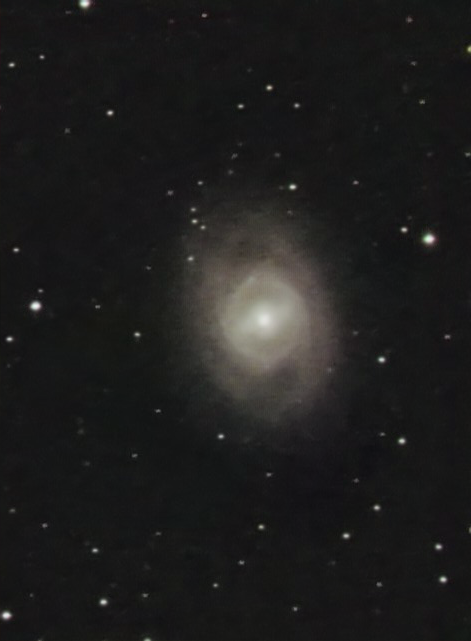 16 M99 Spiral galaxy in Coma Berenices. Take at home on 04/15/07. 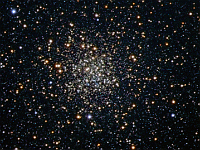 Meade RCX400 10", DSI-Pro II camera, f/3.3 focal reducer. 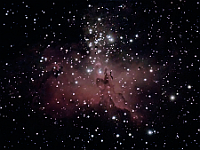 60 seconds/image, total time 120 minutes (RGB = 40:40:40). 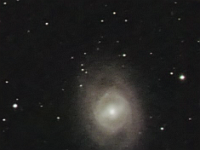 17 M102 Spindle Galaxy in Draco. Taken at home on 06/20/06, 06/22/06 and 06/23/06. L data at 10 seconds/frame, 746 images. 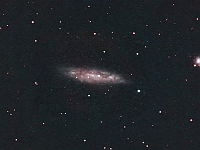 RGB data at 20 seconds/image, 60:210:131 images respectively. Total time 4.3 hours. 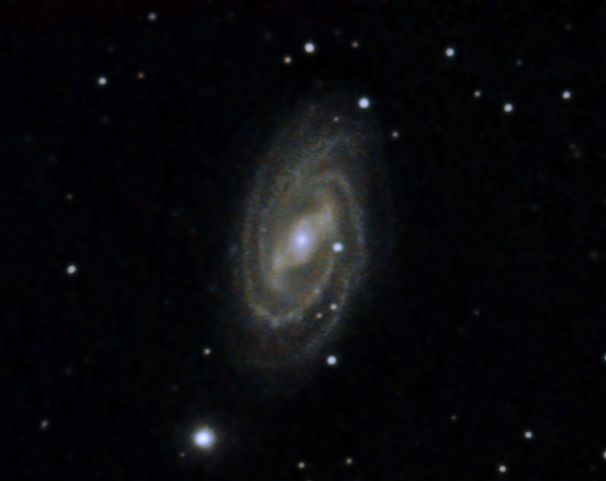 18 M108 Sprial galaxy in Ursa Major. Taken at home on 03/11/07 and 03/29/07. Meade RCX400 10" scope, DSI-Pro II camera, f/3.3 focal reducer. 60 seconds/image, total time 226 minutes (RGB=75:75:75). 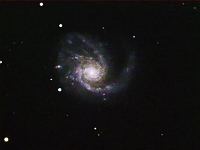 19 M109 Galaxy in Ursa Major. Taken near cabin on 07/05/05. 10 seconds/image, total time 340 minutes.